Sorry, the photo isn’t close enough for me to identify the species. She does look like an orbweaver. For future photos please get closer or buy a clip-on telescopic lens. The back, underside, and eyes are valuable angles for identifying a spider. Different types of spiders have different numbers of eyes (8 or fewer) in different arrangements on their heads. For orbweavers the back (dorsal view) is the most important. 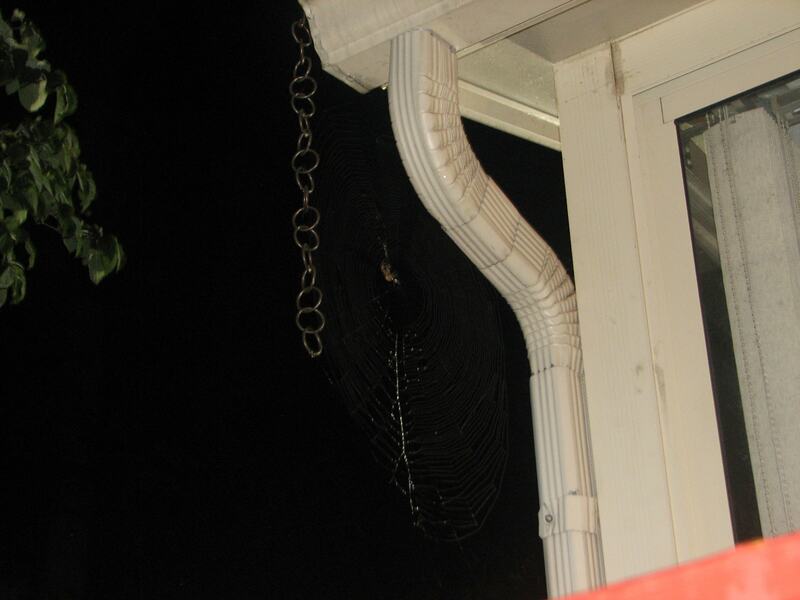 Agreed, close-up shows orb weaver, but that’s all I can see. Thank you. I appreciate the pointers and will keep them in mind if she returns next year!